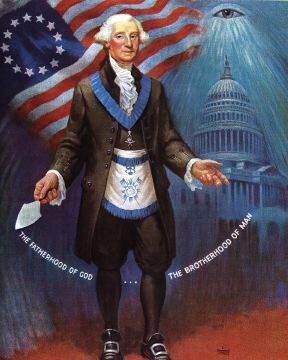 Bell, Lawrence – Bell Aircraft Corp.
Buchanan, James – President of the U.S.
Ford, Gerald R. – President of the U.S.
Franklin, Benjamin – 1 of 13 Masonic signers of Constitution of the U.S.
Garfield, James A. – President of the U.S.
Gillett, King C. – Gillett Razor Co.
Harding, Warren G. – President of the U.S.
Jackson, Andrew – President of the U.S.
Johnson, Andrew – President of the U.S.
Lake, Simon – Built first submarine successful in open sea. McKinley, William – President of the U.S.
Monroe, James – President of the U.S.
Murphy, Audie – Most decorated American Soldier of W.W. II. Polk, James Knox – President of the U.S.
Pullman, George – Built first sleeping car on train. Ringling Brothers – All 7 brothers and their father were Masons. Roosevelt, Franklin D. – President of the U.S.
Roosevelt, Theodore – President of the U.S.
Smith, John Stafford – Wrote the music that became the US National Anthem. Taft, William Howard – President of the U.S.
Truman, Harry S – President of the U.S.